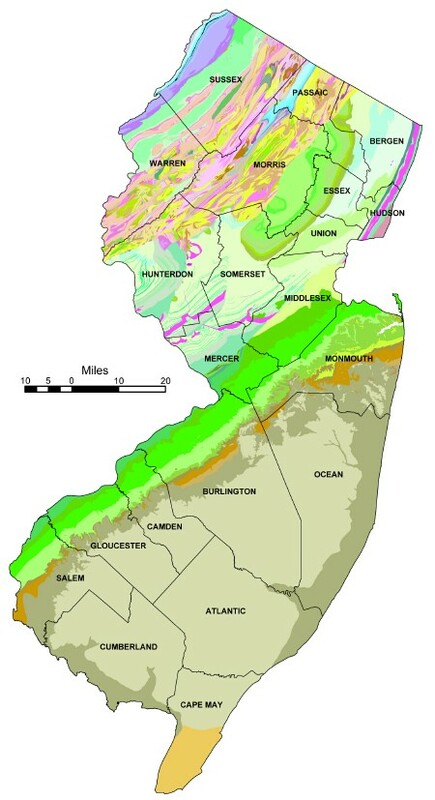 The Bedrock Geology of New Jersey consists of statewide data layers (geology, faults, folds, dikes and cross-sections). The data are provided in: ESRI's Geographic Information Systems (GIS) shapefiles. The GIS data were scanned and digitized from United States Geological Survey Miscellaneous Investigations and Open-File Series 1:100,000 scale geologic maps compiled from 1984 to 1993. The topographic base map at a scale of 1:100,000 is also provided in TIFF format. Arcview legend file bedshd.avl is included with the geology layer. Cross-sections zip file include shapefiles as well as Adobe™ PDF documents for each cross-section.